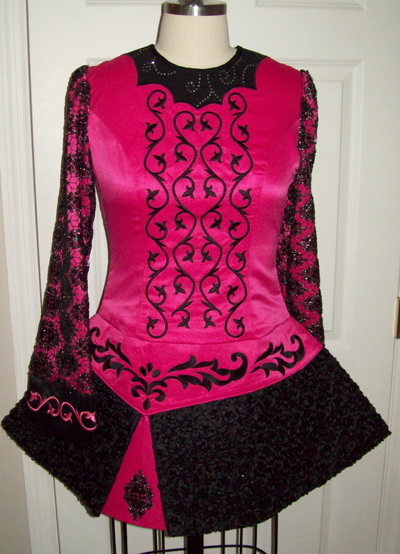 The bodice of this dress is a stunning pink satin with a textured black skirt. 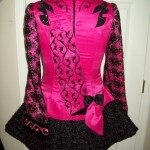 The black skirt has clusters of sequins all over it giving it a great sparkle. 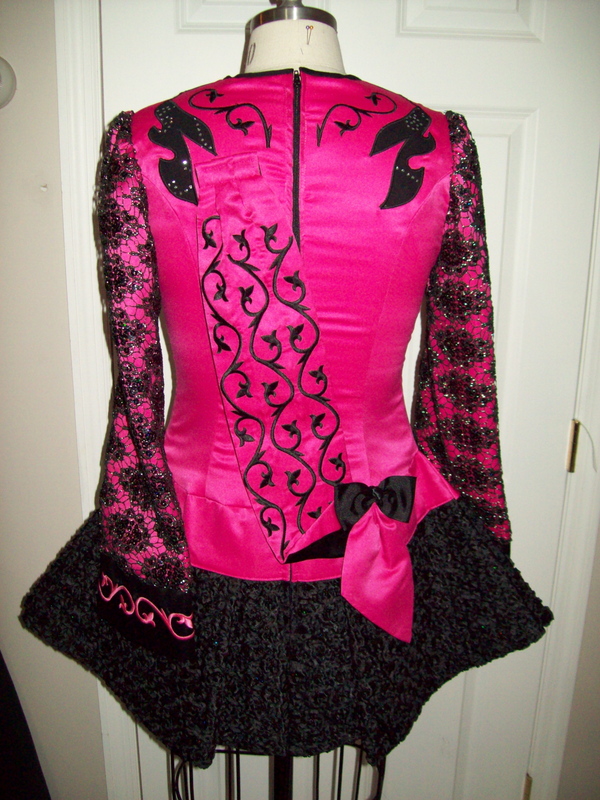 The sleeves are pink with a black sequin lace overlaying them. Lining is black.